When Hirafu Village shifts from a sleepy little town to an international ski resort in winter, we get to enjoy many unique and interesting shops. If you are after a special place to chill after riding and look at some awesome snowboards, don’t miss the Deus Ex Machina Niseko Pop Up Shop! Deus Ex Machina was born in Australia in 2006. The brand proposes a lifestyle which crossover motorcycle, bicycle, surfing and skateboard. Deus Ex Machina even has a store in Harajuku, Tokyo. Deus Japan started its new project recently, Deus Powder Tools, which focuses on toys for riders looking to shred some serious powder. Takuya ‘’Tappy’’ Yoshikawa, the shaper of Deus Powder Tools, has been a surfer and snowboarder for more than 20 years. He made his first official snowboard outline design debut for Deus Fish Board in 2014 and also worked for Burton headquarters to design 9 board graphics in their Family Tree collection. 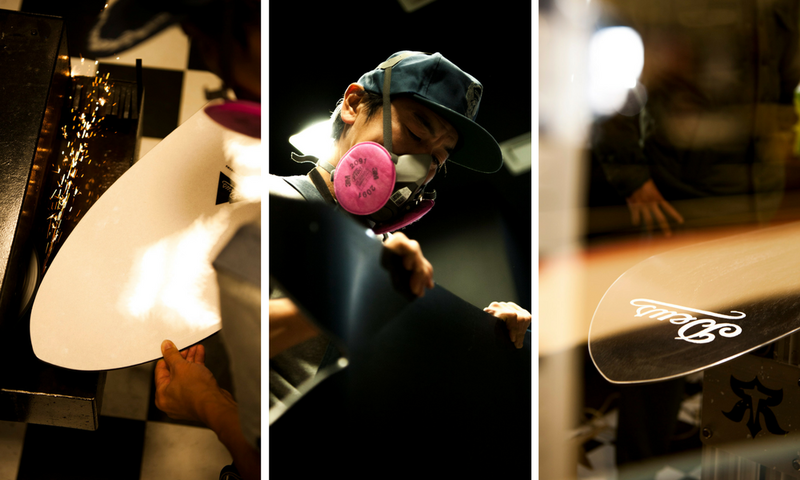 Inspired by the renowned Gentemstick, Takuya ‘’Tappy’’ Yoshikawa brought to life Deus Powder Tools! There are three different models in Deus Powder Tools’ first collection: The Spike, The Mule and Drifter. All three snowboards are good for the powdery conditions in Hokkaido. The Spike inherited influences from Niseko’s famous Gentemstick. Drifter is also an interesting board as it is a collaboration with Japan’s Death Label boards, mimicking their best selling shapes. 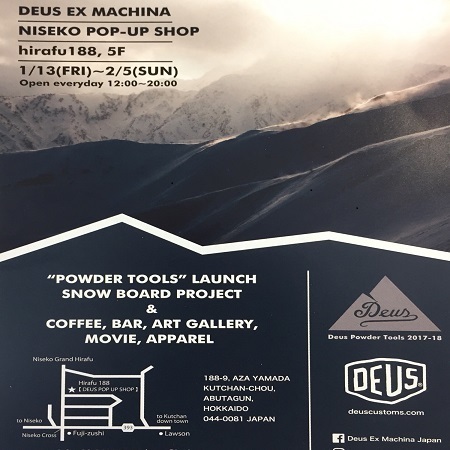 Deus Ex Machina came to Niseko to showcase Deus Powder Tools. Riders can stop by and have a look at their brand-new, awesome powder boards. Prospective buyers can even try the stick they fancy in Niseko's deep powder! The video above features conversations with Takuya ‘’Tappy’’ Yoshikawa about shaping of Deus Powder Tools. The snowboard shaped by an experienced snowboarder and surfer will be a piece of art. 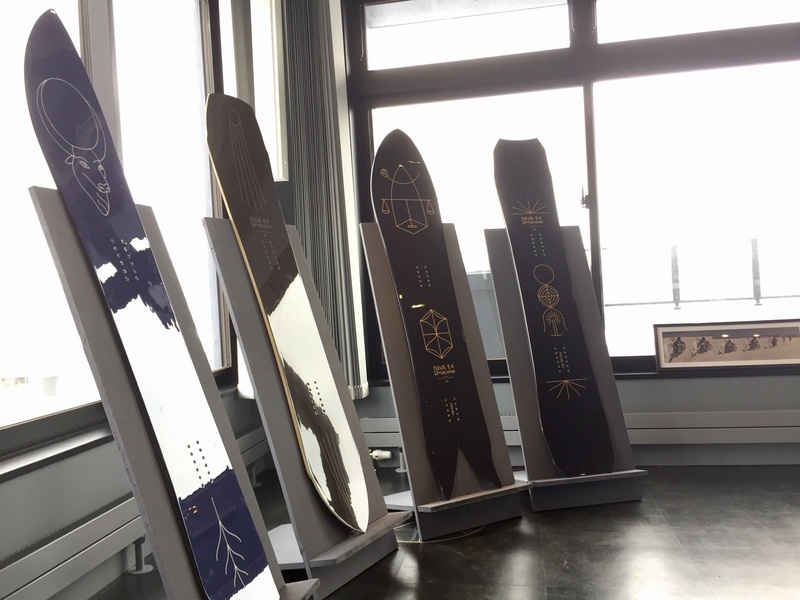 We visited the Pop-Up store earlier this week to have a look at these awe-inspiring snowboards. 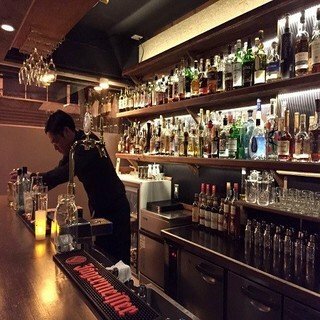 We were caught breathless when he opened the heavy door on the 5th floor of Hirafu 188 - it felt as if we were entering a different world. 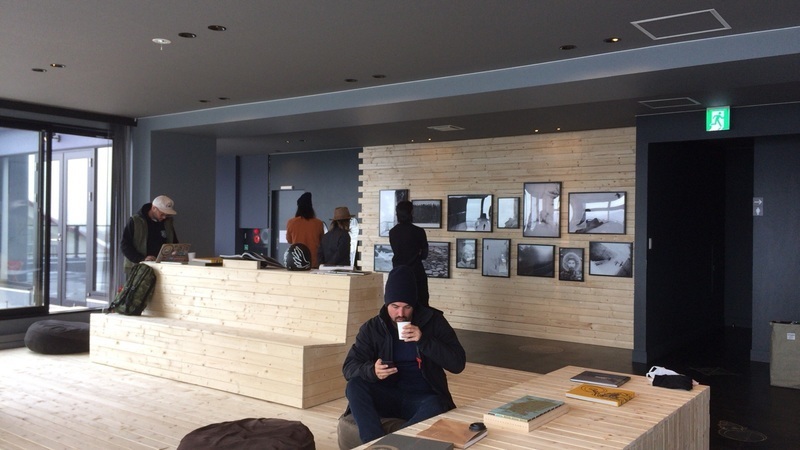 In addition to its snowboard showcase, the Pop-up store also featured an art gallery and a small cafe. The atmosphere was laid-back, a perfect place to just sit back and enjoy a fresh cup of coffee while reading some magazines. You'll feel like you've entered a whole new world after stepping inside Deus' Pop-up store. A Showcase of Deus' Snowboards - you can demo some of the boards available for trial. Don't be surprised if you end up bringing home a new toy afterwards! 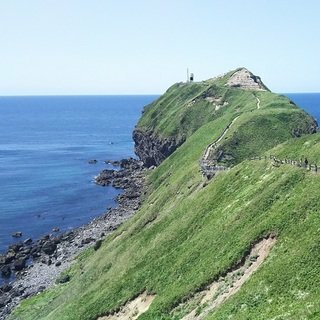 While twin tips are still dominant in the snowboarding world, you will find out that they are less common in Japan (especially in Hokkaido!). With Gentemstick leading the way in manufacturing powder boards, new players are now keen to bring you more choices. 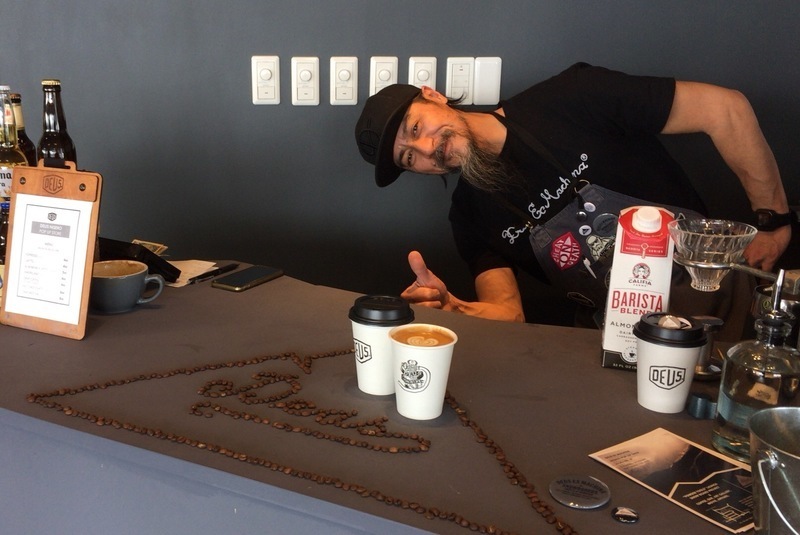 Don't forget to try the tasty coffee at Deus' Pop-up store. In addition to the snowboard showcase, you can also sit back in the stylish seating area to enjoy your favorite coffee after a long day on the slopes. 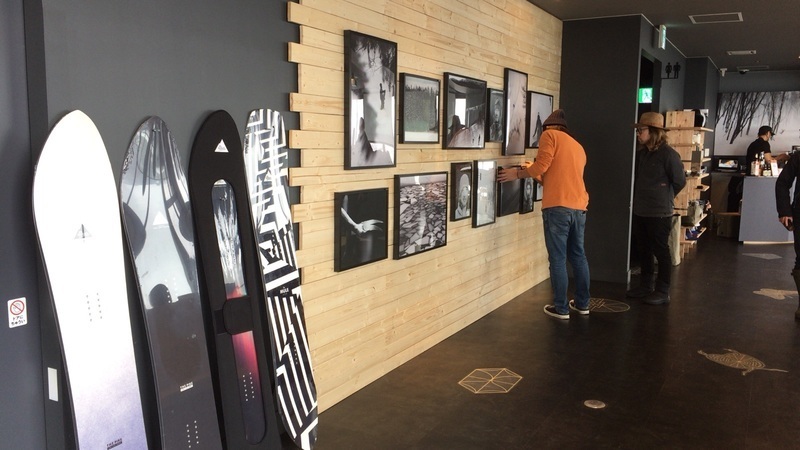 There is an art gallery featuring some awesome shots made by Woody Gooch on his recent snow trip. Deus Ex Machina Pop-up store will be around until 5th February, on the 5th floor of Hirafu 188. Remember to stop by before or after boarding to check out these amazing, one-of-a-kind snowboards. 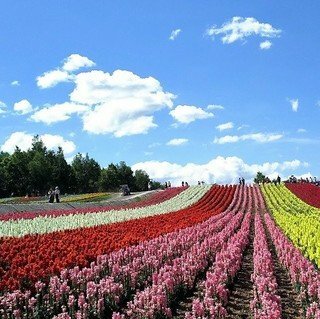 Opened daily from 12 noon to 8 pm! 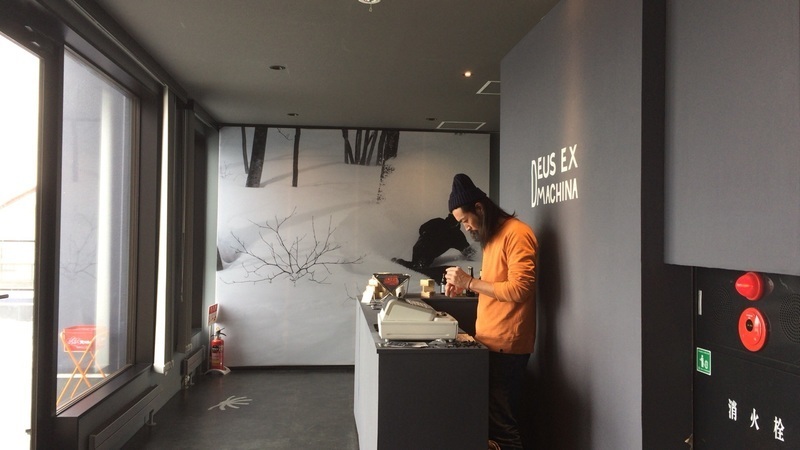 Deus Ex Machina Pop-up store is located on the 5th floor of Hirafu 188, just 2 minutes walk from the nearest ski lifts.